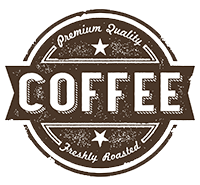 San Marco Coffee, Inc. is a gourmet coffee roasting company specializing in wholesale coffee to restaurants, cafes, hotels & specialty retailers. What sets us apart from other coffee companies is not only do we sell to commercial accounts we sell direct to consumers at wholesale prices. Everyone regardless of account type can purchase our coffee at the same low prices directly from our website. Thank you for your interest, I do hope you will consider San Marco Coffee as your coffee roaster!